Young children learn by imagining and doing. Have you ever watched your child pick up stones and arrange those becoming a small city? Or maybe your child would crawl under the table as if he/she were a tiger in the jungle? There’s a lot that very young children aren’t yet able to grasp about the world around them. In order to fill in the missing part, they like to use their imaginations and sometimes magical explanations of how things work. Babies use their senses to learn and explore their worlds. As they grow into Preschoolers, they will take the knowledge and combine it with a growing imagination and magical thought to come up with creative and fantastical ideas about how things happen and why. 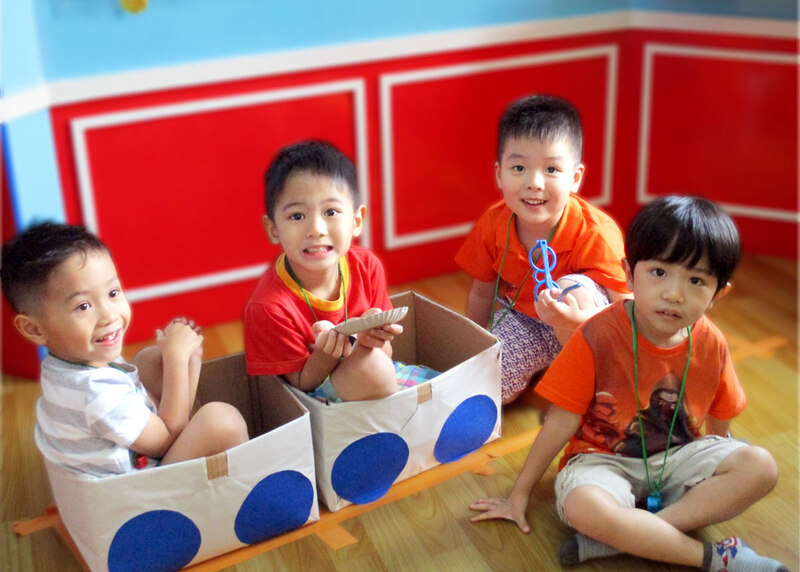 Imagination also fuels pretend play, which is proven to develop social & emotional skills. When children engages in pretend play, they are actively experimenting with the social and emotional roles of life. Through cooperative play, children learn how to take turns, share responsibility, and creatively problem-solve. When children pretend to be different characters, they can experience “walking in someone else’s shoes,” which helps teach the important moral development skill of empathy. And as they grow even older, imagination and creativity will translate into art, music, and creative writing with their critical thinking. This critical thinking inspires kids to find more and dig deeper for information and develop more complex ideas that will turn them into decision-makers and problem-solvers who will make you proud as they mature. This article is written by Yenti Handala, Center Director of Tutor Time Pluit. Ms Yenti holds a degree in Education from Atmajaya University and has 16 years of educating experience. If you would like to know more about Tutor Time Pluit you can find out more here or contact her by filling the form below. Tutor Time Indonesia is an early childhood education specialist since 1996, applying programs developed by Tutor Time USA. It provides care and learning opportunities for children aged 6 months to 6 years old.